"Help!" Soundtrack album. The in-depth story behind the Beatles' second soundtrack album. Origin of the Album. Capitol Records. United Artists was a very smart company. Seeing the mania concerning The Beatles in Britain, they had the foresight to know that they were going to be really big in America as well. Therefore, in late 1963, they struck a deal with Beatles manager Brian Epstein to film a motion picture starring the group with the sole intention of gaining the rights to release the soundtrack album in the US. The resulting album, "A Hard Day's Night," was released on June 26th, 1964 and was reported as one of the fastest selling albums in the history of the record business. It sold a million copies in four days! It spent 14 straight weeks at number one on the Billboard album chart! And it wound up selling over four million copies overall! That was 1964. As things were developing, 1965 was looking to be a carbon copy of the previous year. A second United Artists motion picture was in the works and was scheduled to start shooting on February 23rd of that year. Could United Artists repeat the amazing success of releasing a record-breaking soundtrack album in 1965 as it had done the previous year? No. Shortly after the original 1963 contract was signed with United Artists, Capitol Records finally agreed to be the US distributors of The Beatles music. Being an EMI affiliate, they received exclusive rights, which included all future recordings; even future soundtrack albums. Therefore this second movie, which eventually was titled “Help!,” had its soundtrack album released on Capitol Records. Capitol couldn’t help noticing the amazing response United Artists had received from their Beatles soundtrack album the previous year, so, they were gearing up for a repeat performance, since the group's popularity was not even close to waning. To start off, Capitol planned on mimicking the format United Artists used for their 1964 soundtrack album, interspersing Beatles songs heard in the picture with instrumental music from the movie. 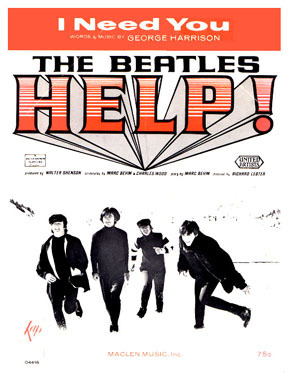 Like its predecessor, Capitol also chose not to include The Beatles songs that appeared on side two of the British “Help!” album, deciding to include these on later albums to incur more American sales. 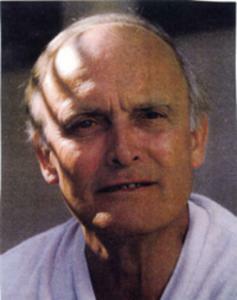 Since George Martin produced the seven Beatles tracks that appeared in the film, the production credits on the back of the album read, “Produced in England by George Martin and in the U.S.A. by Dave Dexter Jr.” Dexter was responsible for taking instrumental snippets from the movie and including them on the album in between The Beatles songs. He even took it upon himself to name these snippets. Another idea Capitol had was to treat this album as the standard “Original Broadway Cast” albums of the era, packaging the disc in an open-gatefold cover as a “very special movie soundtrack souvenir album!”, as the inside cover read. This being the case, they felt obliged to raise the list price of the album by a dollar, which brought the mono version of the album to $4.98 and the stereo to $5.98. With such hype surrounding the release of the movie, as well as the continued popularity of the group, Capitol felt that the extra dollar would not deter anyone. And they were correct. While not outselling the 1964 soundtrack album, it leapt to the number one position on the Billboard album chart and stayed there for nine weeks. 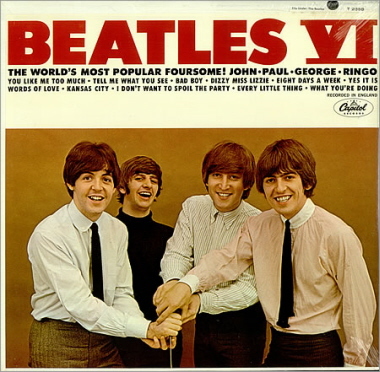 It generated over a million dollars worth of sales in the first week and ended up selling in excess of three million copies, which was three times the amount of the previous American Beatles album “Beatles VI.” Only having seven Beatles songs on the album (one of which was "Ticket To Ride," which had been available nearly four months prior) did not keep three million Beatles fans from buying the album. United Artists Records may not have been able to cash in on the music sales, but they tried. 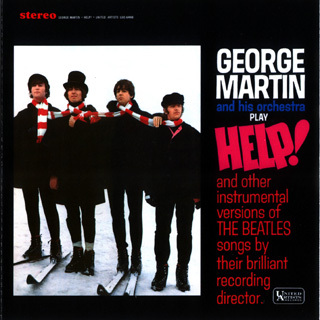 Since they enjoyed a respectable amount of success the previous year with George Martin’s orchestrated versions of the “A Hard Day’s Night” songs, they thought to release a similar album in conjunction with “Help!” “George Martin and his orchestra play Help!” was the name of a 1965 United Artists album that featured instrumental versions of all seven songs from the movie plus four songs from the second side of the British “Help!” album, namely "Tell Me What You See," “Antie Gin’s Theme” (I've Just Seen A Face), “That’s A Nice Hat (Cap)” (It's Only Love) and “Scrambled Egg” (Yesterday). 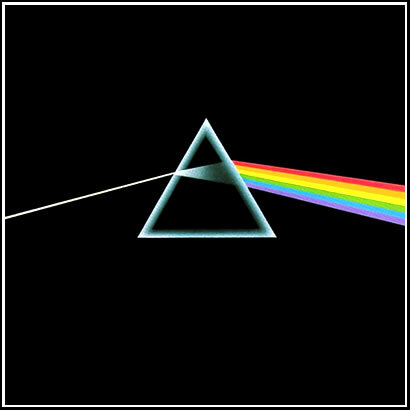 An interesting side note about this George Martin album concerns the track “Ticket To Ride.” When the 1973 album “Dark Side Of The Moon” by Pink Floyd was recorded, the tape that was used to record the heartbeat heard at the end of the album apparently was the same tape that originally contained George Martin’s orchestrated rendition of “Ticket To Ride.” While the remnants of the original recording cannot be heard on the vinyl copies of the Pink Floyd album, the later re-mastered compact disc release reveals the faint remains of the song. The recording studio scene in "Help!" After a non-stop hectic 1964, The Beatles started 1965 by taking nearly a month off (mid January to mid February) to recuperate and take vacations if they chose. They reconvened at EMI Studio Two on February 15th to get down to the business of recording newly written songs for their second motion picture. For the next six days, which was a Monday through Saturday, they completed eleven new songs for consideration of being included in the film. Nine of these songs were brand new Lennon/McCartney compositions, while George Harrison came through with a burst of creative output, offering up two new songs of his own. 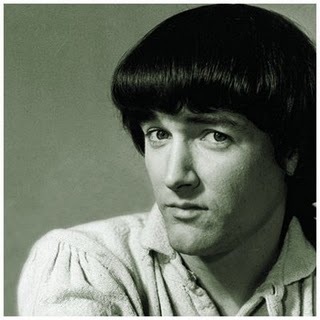 While his first ever song "Don't Bother Me" did get featured in their first movie (but not on the soundtrack album), he became bound and determined to get a piece of the songwriting pie this time around. As was the case in the previous year, only six of these songs made the grade. 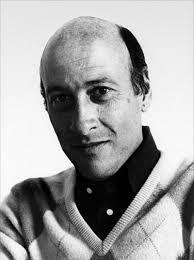 Director Richard Lester had the final say, and he chose one of George’s songs, namely “I Need You,” while his other track "You Like Me Too Much" was rejected. Undaunted, George was very proud of having one of his compositions included in the film and soundtrack album, evidenced by hearing Harrison verbally point it out when the song’s credit was viewed at the conclusion of the film. Most of the rejected songs did get released in different forms. 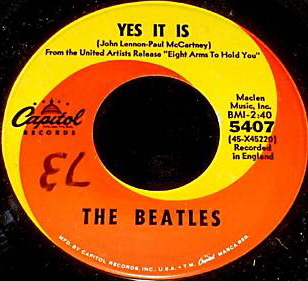 “Yes It Is” may not have fit the mood of the movie, but it was earmarked early on for the b-side of their April single “Ticket To Ride.” George’s “You Like Me Too Much,” as well as “Tell Me What You See,” first appeared on the American album “Beatles VI” and eventually wound up on side two of the British “Help!” album. Two other songs, however, were also apparently rejected by EMI as well, since they didn’t get released at all (until the 90’s, that is). The Lennon and McCartney’s compositions "If You've Got Trouble" and the only song recorded on Saturday, "That Means A Lot," were relegated to the shelf indefinitely. Even though they returned to the recording studio mid-movie to have another go at the latter song, this too was deemed unworthy of release and was given to singer P.J. Proby to release as a single. Being that this single was unsuccessful as well, I guess the world just wasn’t ready for a love song that mentioned “suicide” in the lyrics. One further song, though, was required for the movie, which needed to be named after the title of the film. The problem was that they hadn’t yet decided what the movie would be called. When, on April 11th, they got the OK to name the movie “Help!” (with an exclamation mark), John and Paul got to work on writing the title song. By April 12th, the song was complete, and by April 13th, the song was fully recorded at EMI Studio Two. 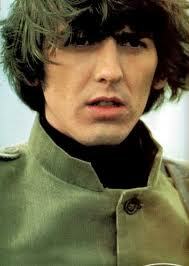 As for the instrumental tracks on the Capitol album, The Beatles won out there as well. Since much of the musical score by Ken Thorne was based on previous Beatles material, three of the instrumental selections contained the “Lennon/McCartney” composer credit, which resulted in additional songwriting royalties being paid to John and Paul. The instrumental songs in question were "From Me To You Fantasy," "Another Hard Day's Night" and the second half of a medley on side two that combined "The Bitter End" with touches of a barely recognizable "You Can't Do That." It is quite obvious that the emphasis of these instrumental tracks were not very important in the preparing of this album. The back cover of the album was prepared before they even knew what these songs were named (listing them simply as “instrumental”) and they never went back to include them on later pressings. Even the first pressing of the record labels failed to indicate Ken Thorne as the composer of three of the songs. They obviously were anxious to get the album out as soon as possible. A gatefold album cover for a pop record in the US was quite unheard of, but not for a soundtrack album. Capitol used the established format common to 60’s motion picture and Broadway soundtrack albums to create a cover that celebrated the release of the movie, which came out on July 29th, 1965. This highly anticipated album was released just over two weeks later on August 13th. One factor that led to this album being highly anticipated was that four months prior to it being released, the American single “Ticket To Ride” featured the legend “From the United Artists Release ‘Eight Arms To Hold You'.” If by this point the news hadn't yet reached their fans that The Beatles were making a new movie, they knew if now! The simple British album cover for this collection of songs couldn’t have been any different. The only similarity between the British and American album jackets was the cover photo, which was taken by Robert Freeman at Twickenham Film Studios. 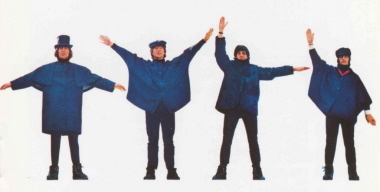 His intention was to have the group hold out their arms to spell out the word “help” in semaphore letters. He gave up on this idea when it looked too awkward and told them to hold their arms in more natural poses. The result on the British album ended up spelling out the word “nujv” but, since Capitol decided to reposition Ringo to second from the left, it spelled out the word “nvuj” on the American album. Capitol also decided to turn this color photo into black and white for some reason. The back cover, as with most soundtrack albums of the time, focuses on the film's major credentials, such as the main actors (other than The Beatles), the producer and director, who wrote the screenplay and who did the musical score. United Artists may not have been able to release the album but they graciously got a major plug on the back of the album jacket. Capitol also extended their promotion of the album in a unique way. They struck a deal with Curad to produce one million “Help” band-aids to generate demand for the album. The band-aids actually had the words “BEATLES” and “HELP” printed on them, although nobody specified to them to use the exclamation mark. In conjunction with this promotion, Capitol prepared bumper stickers that resembled band-aids to promote the album, making sure to include the Capitol logo. Try to find these collectors’ items today! "Beatles VI" PREVIOUS - NEXT "Rubber Soul"